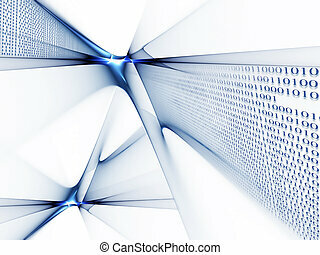 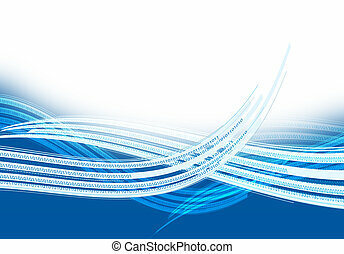 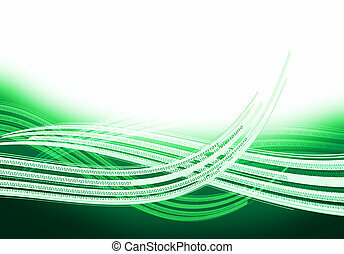 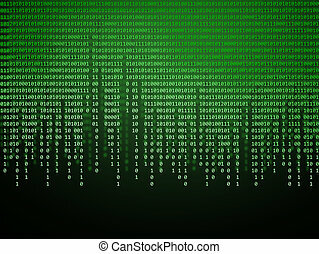 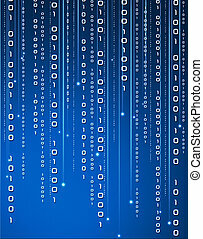 Binary code data flowing on display. 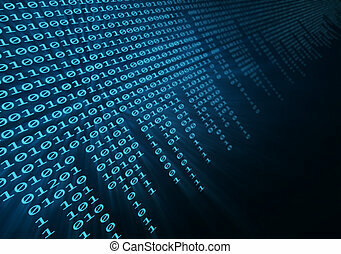 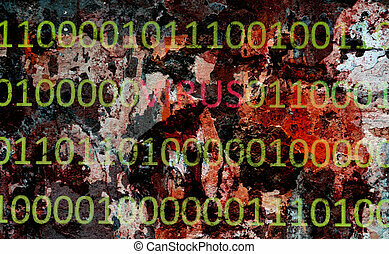 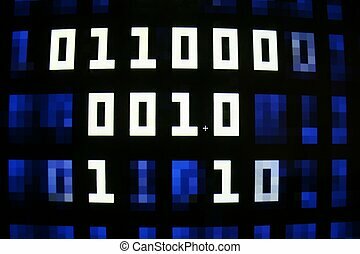 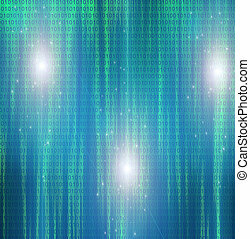 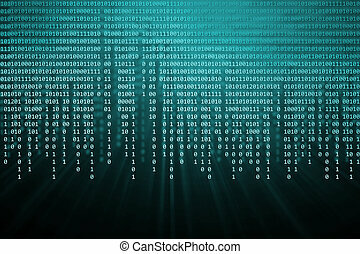 Glowing binary code data digits flowing on computer display. 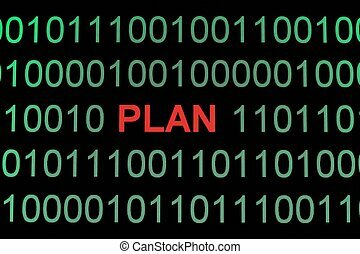 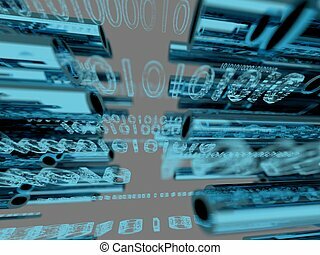 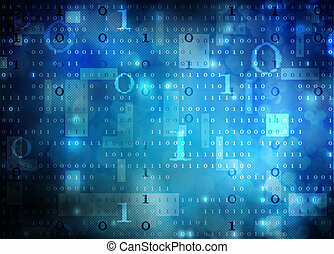 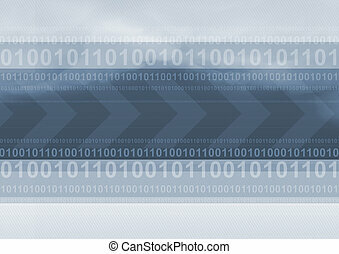 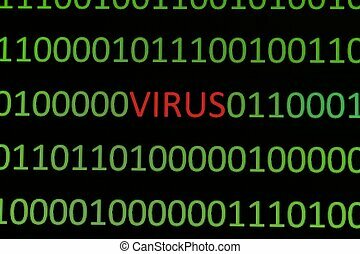 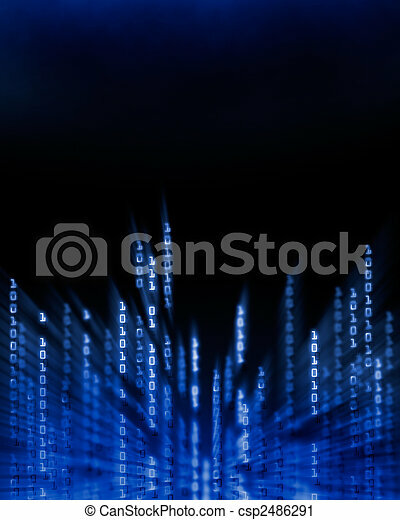 Binary code on azure background.